Bikaner is a place apart. It is not yet touristy but it holds some wonderful surprises. The magnificent fort should make the one in Jodhpur green with envy and the old town is like an oriental tale that envelops you in a whirlwind of colours and fragrances. The town was founded by Rao Bika in 1486. As the second son of Rao Joda, founder of Jodhpur, Rao Bika had no hope of inheriting the blue city or the title of Maharaja so he decided to build his own kingdom in what is now the Bikaner division of Rajasthan state. 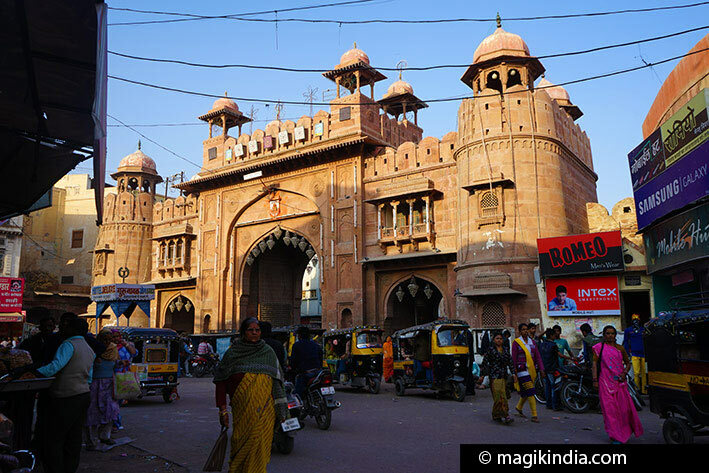 Like Jaisalmer in southwestern Rajasthan, Bikaner was once a major trading centre on the caravan trails. During the reign of Raj Singh I in the 16th century, Bikaner became a flourishing town and an important trading post on the Silk Road. It was particularly renowned for its goldsmiths, silk weavers and perfumers. 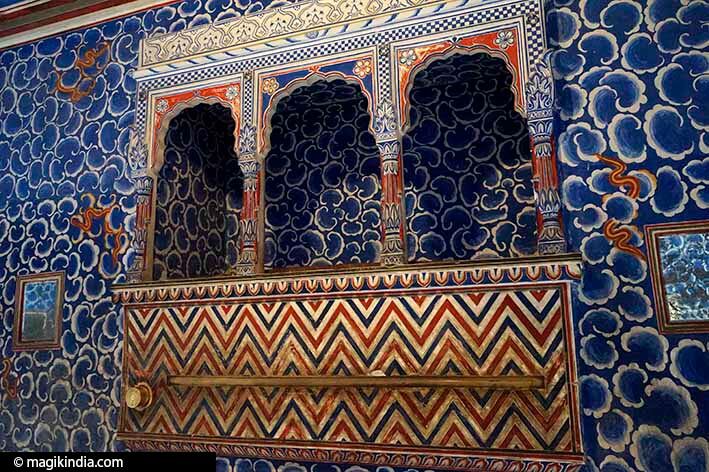 It also became a famous centre for arts and music and was home to a school of miniature painting that forged a delicate blend of the Rajput and Mughal styles. The last great Maharaja, Ganga Singh (1898-1943), took Bikaner to the peak of its power as one of India’s most important princely states. He launched the building of the Ganges Canal, an ambitious irrigation project that transformed the deserts around the capital into productive farmland. In 1949 the state became part of the State of Rajasthan in the newly independent India. Thousands of excited tourists and local people come to cheer this man and beast affair organised in January especially, for promoting the camel breeders of the region and to revive the age old traditions of taming and training camels. 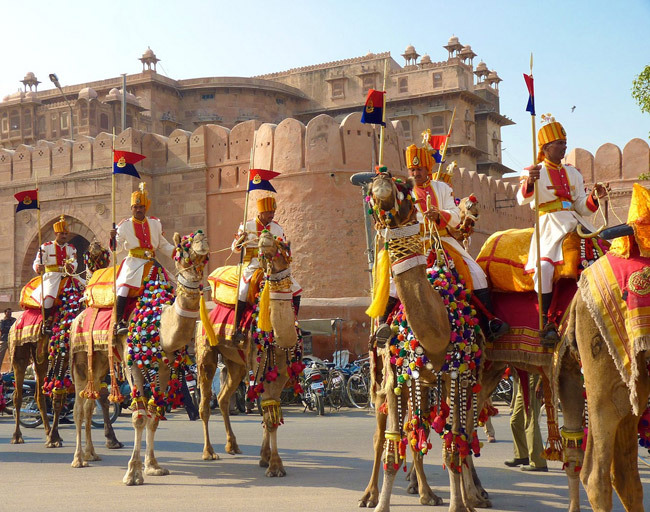 The festival begins with a colourful procession of beautifully decorated camels. The camel pageant is held on the first day. Here the camel owners show off their camel’s decorations and jewellery. Camel dance performances are also held. There are competitions for the best decorated camels, camel milking and also for the best fur cutting design camels. The colourful bridles, bejewelled necks and jingling anklets cast a magical spell on the audience. Jambheshwar Fair in March is one of the significant fair of Rajasthan and of Bishnoi community. 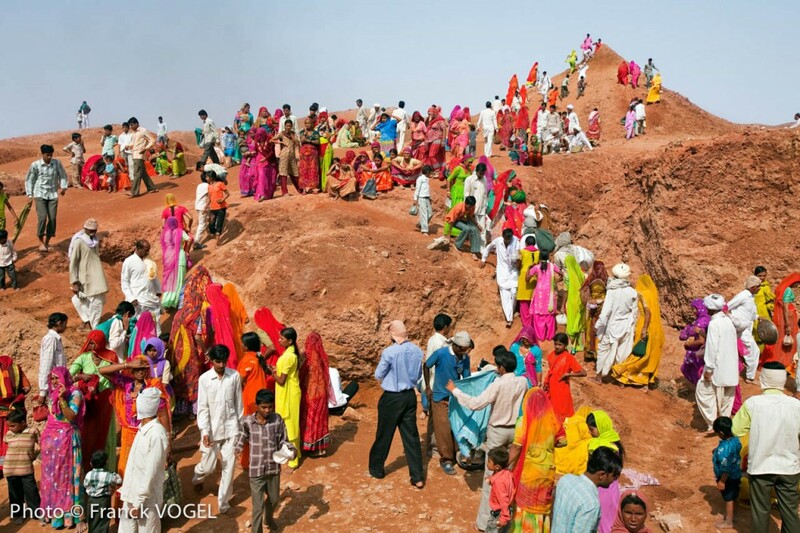 It is held in the village of Nokha of Bikaner district. Jambheshwar was the founder of the Bishnoi community and revered as a saint. 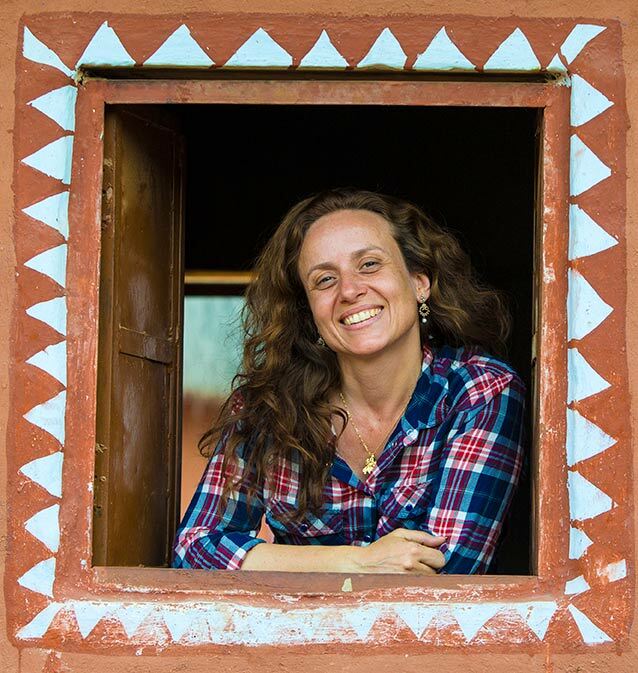 The devotees go to the temple at Mukam and the sand dune at Samarthal (where Jambhaji used to preach) and take part in the worship and rituals. It is customary to take some sand from the tank called Talai at Mukam and deposit it at the foot of the dune at Samarthal. One can observe the rituals of Bishnois in the shrines where a ‘Sanyasi’ (priest) of the Bishnoi community deliver sermons, chant Vedic mantras and recite ‘Aart’ in the praise of Jambeshwar Ji. 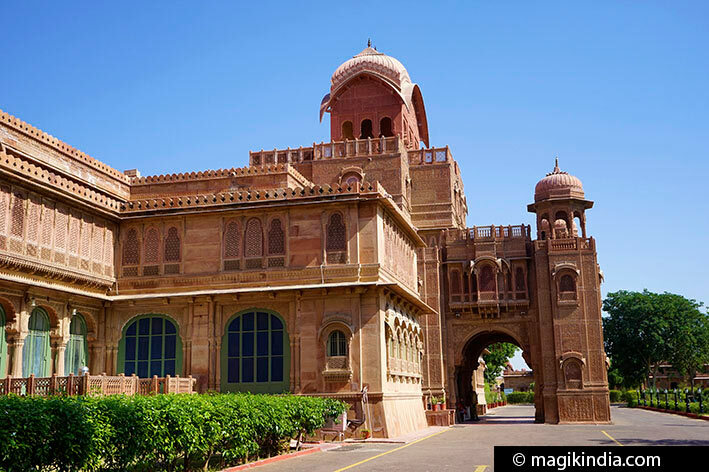 It also functioned as a palace, and the refinement of the decor is breathtaking.The red fort looks massive from the outside, but inside it is one of the most majestic in Rajasthan.. 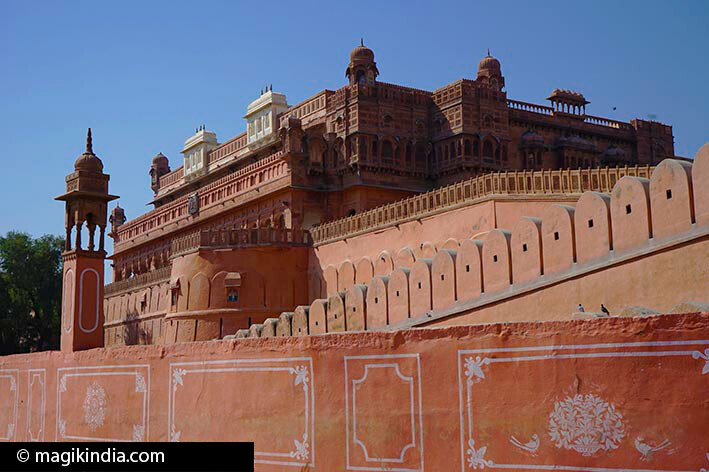 It was built by Raja Rai Singh, the 6th ruler of Bikaner who reigned from 1571 to 1612. His extensive travels gave him the knowledge of art and architecture that he applied to building the fort. His successors added further refinements. There are over a thousand havelis. The best known are the Rampuria havelis, which all belonging to the same Jain family. The old town also has a totally unique feature: large, low wooden tables called pattas installed in the streets. There are 500 of these scattered around town. 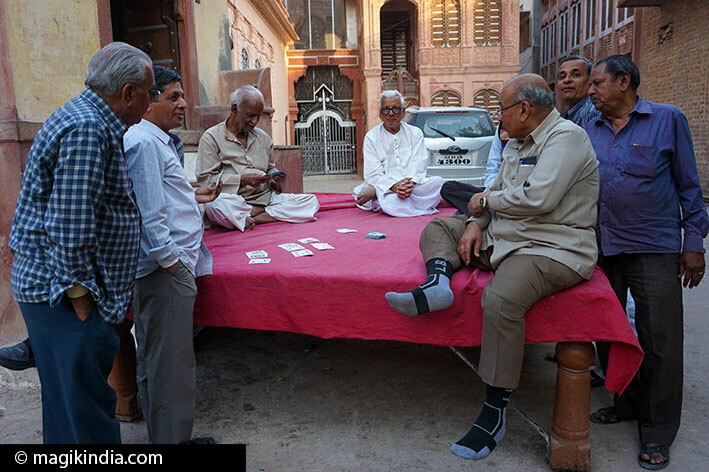 Originally they were places for the women to meet and chat; now they are mainly used by card players. 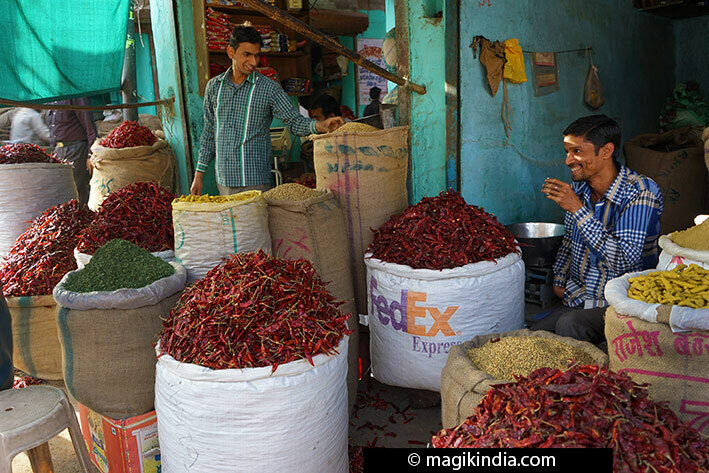 In Bada Bazaar (“great bazaar”), the spice market, nothing seems to have changed since ancestral times. 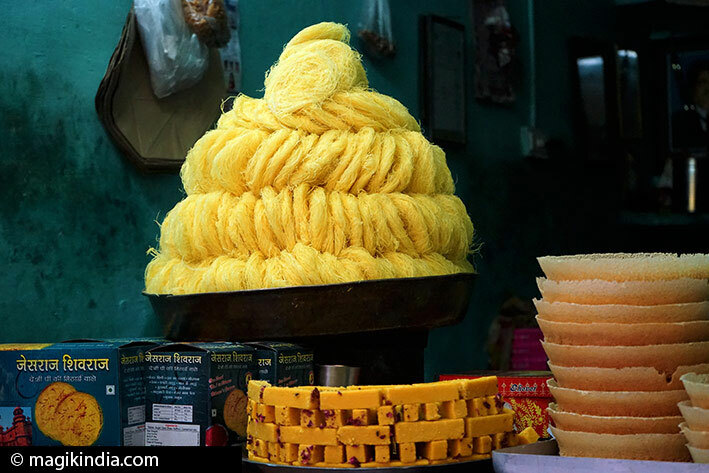 It is a genuine bazaar, quite unlike the tourist bazaars in some other Rajasthan towns. Walking through its alleys your senses delight in the oriental fragrances and you willingly give way to the enchantment. This Jain temple not far from Bada Bazaar is a gem, with paintings in the Usta style of the Bikaner school. It is dedicated to Sumatinath, the fifth Tirthankar saint of the Jain faith, and was built by a rich Jain merchant called Bhanda Shah. 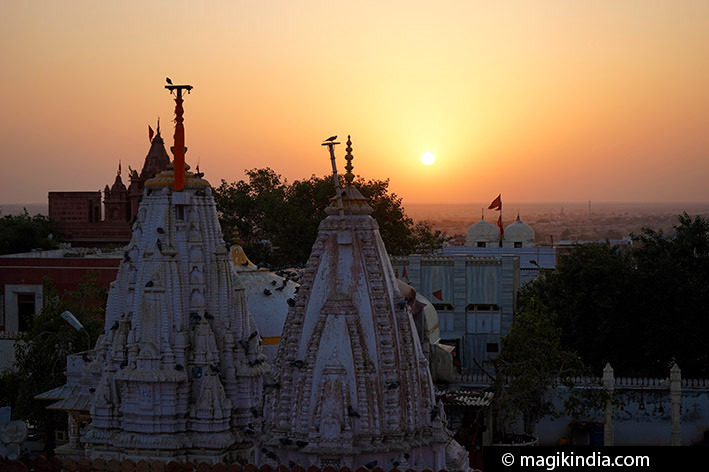 It is best visited in the late afternoon, to watch the sunset over the city from the top of the temple. The market near Kot Gate is as buzzing and vibrant as the bazaar in the old town, with all kinds of goods and very welcoming traders. A delight for eye and tastebuds. Laxmi Nath is one of the town’s oldest temples, built in the reign of Rao Lunkaran and altered by Maharaja Ganga Singh Ji. It houses the Hindu deities Vishnu and Lakshmi. 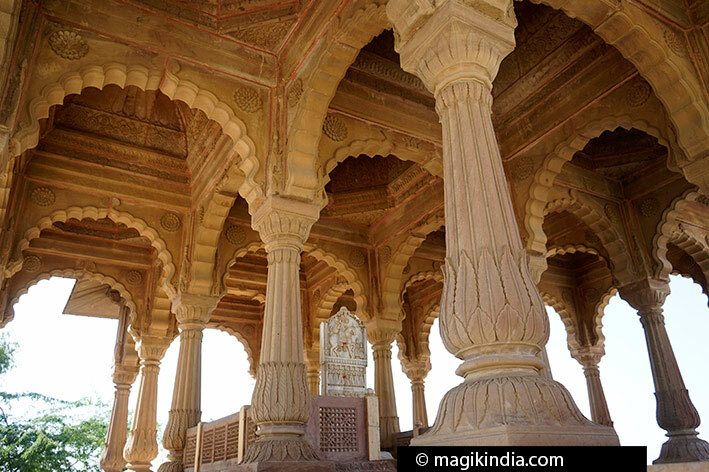 Few tourists know about these two groups of cenotaphs or chhatris, but they are well worth a detour. 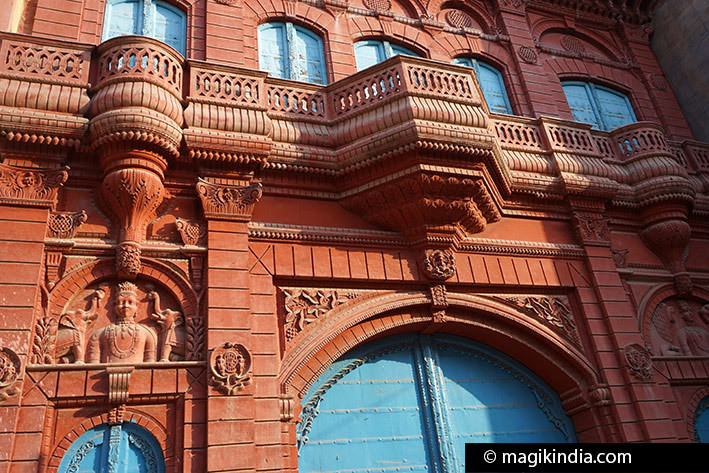 They were built in memory of members of Bikaner’s royal family. The oldest are built of red Dulmera sandstone, the more recent of white marble. The oldest, dating from the 16th century, is that of Rao Kalyanmal Ji, a ruler Bikaner. 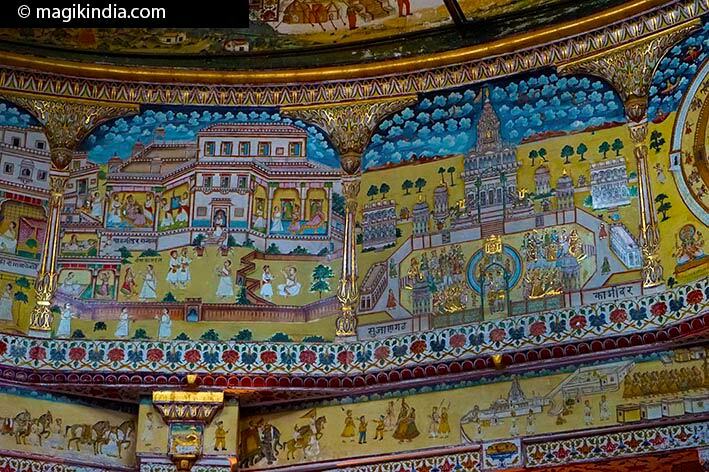 Some are decorated with fine paintings illustrating the life of the god Krishna. The men’s’ cenotaphs boast vertical stelae while the women’s have flat plates on the floor with footprints engraved on them. The Rajput and Moghul styles here find a harmony that gives the place a serene atmosphere. These two adjoining palaces have been turned into a luxury hotel, but non-guests are allowed to visit the public areas. 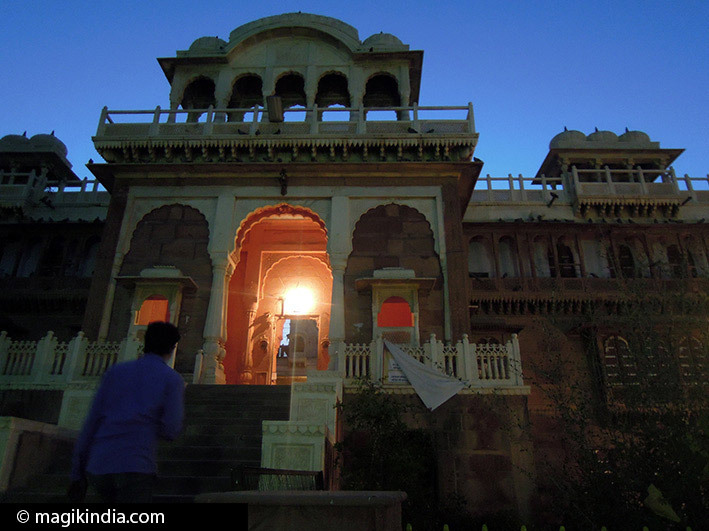 The Laxmi Niwas palace, in Indo-Saracenic style, was the residence of Maharaja Ganga Singh, a ruler of Bikaner. 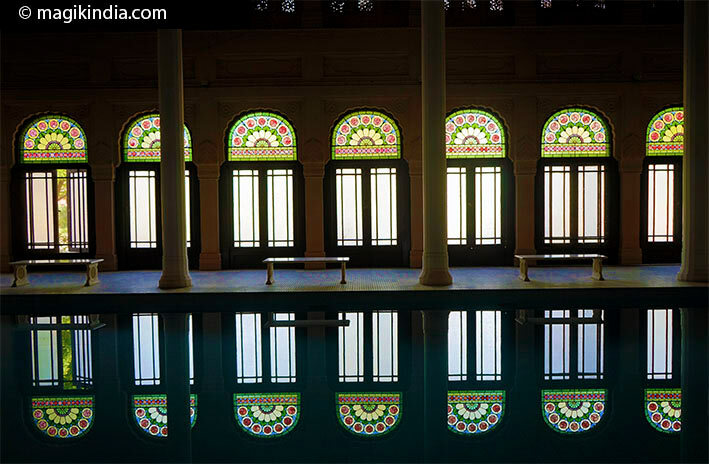 It was designed by British architect Samuel Swinton Jacob and built in 1902. The same year, Maharaja Ganga Singh commissioned Swinton Jacob to design the Lalargh palace in memory of his father Maharaja Lall Singh. 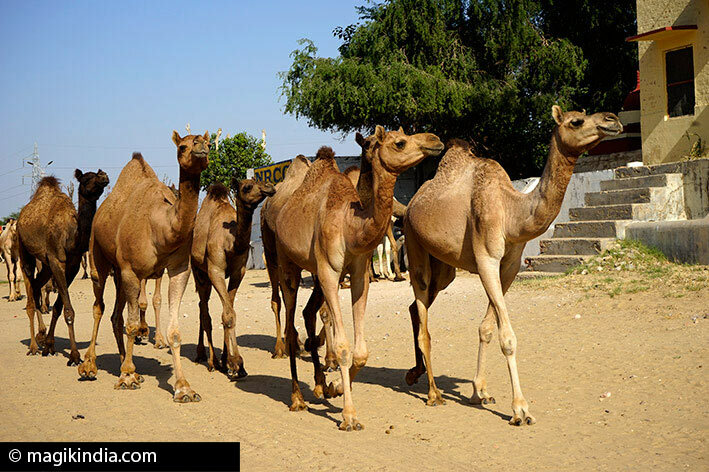 This camel breeding farm and research centre about 10km from Bikaner is one of the largest in Asia. It also boasts a camel museum and kiosks selling camel products. After enjoying a camel ride you might let yourself be tempted by a camel milk ice cream. 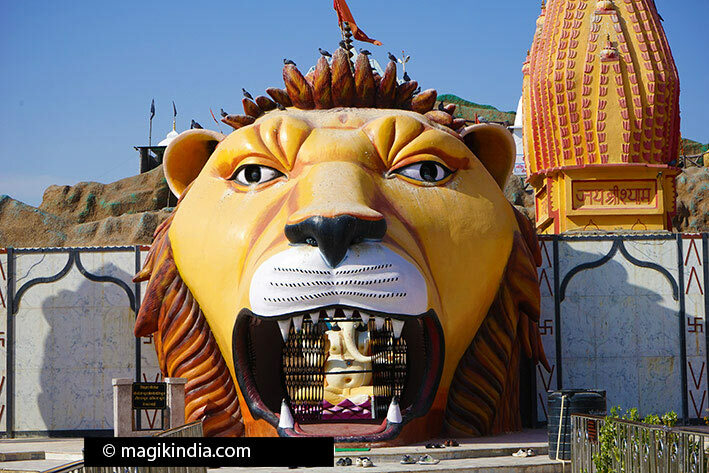 A Hindu temple like a theme park, which you enter through a lion’s mouth! It was built in tribute to the famous Vaishno Devi temple in Jammu & Kashmir. Children of every age are sure to love this amusing temple full of grottos and giant deities. 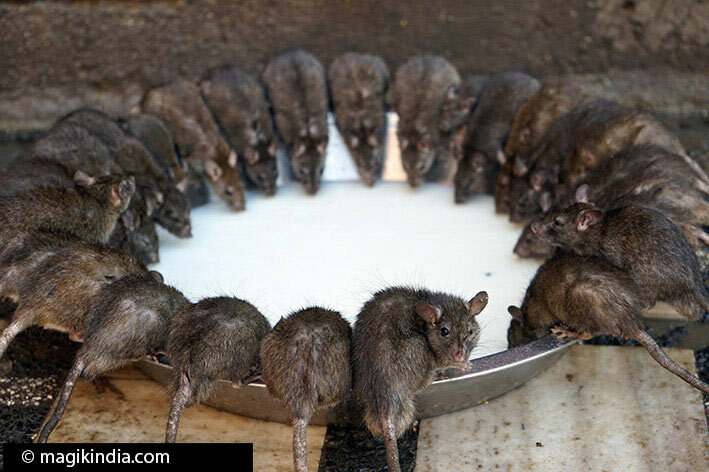 The world-famous Rat Temple is 30km from Bikaner in the town of Deshnoke. It is dedicated to Karni Mata, a 15th-century woman mystic and an incarnation of the Hindu goddess Durga. There are said to be more than 20,000 rats living in the temple. Worshippers come to make food offerings (prasad) because the rats, called kabbas, are regarded as sacred. 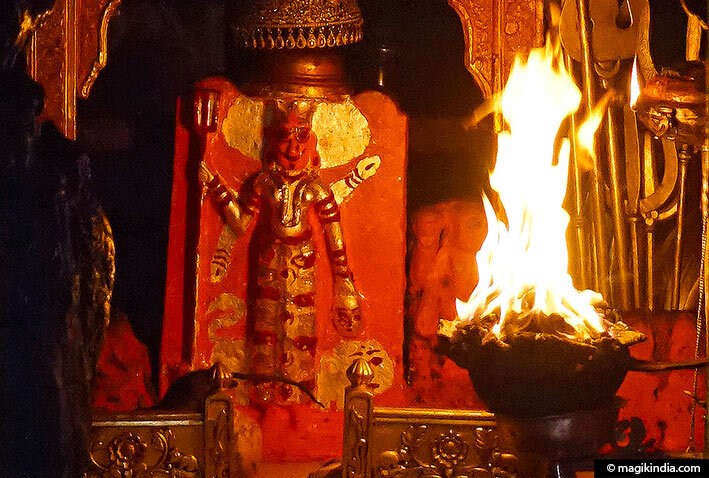 According to a local legend, Karni Mata implored Yama, god of the dead, to resurrect the much-loved son of one of her storytellers. Yama refused at first, but agreed in the end and allowed Karni Mata to bring back not only the soul of the storyteller’s son but the souls of all poets and storytellers, not in human form but as rats. And Yama gave the male children permission to be reincarnated as temple rats. There are supposed to be five white rats among the black rats. They are considered the most sacred, as they are incarnations of Karni Mata and her family.